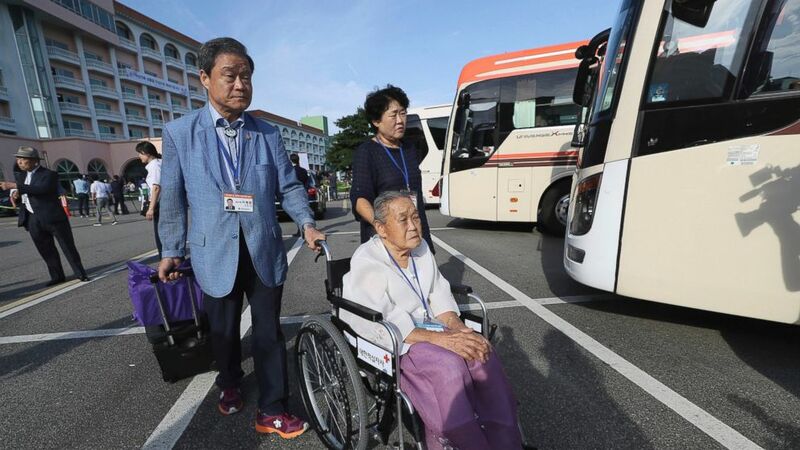 Dozens of elderly South Koreans crossed the heavily fortified border into North Korea on Monday for heart-wrenching meetings with relatives most haven’t seen since they were separated by the turmoil of the Korean War. They were to reunite with their long-lost North Korean relatives on Monday afternoon at the start of a three-day reunion. A separate round of reunions from Friday to Sunday will involve more than 300 other South Koreans, according to Seoul’s Unification Ministry. Analysts say North Korea sees the reunions as an important bargaining chip and doesn’t want them expanded because they give its people better awareness of the outside world. While South Korea uses a computerized lottery to pick participants for the reunions, North Korea is believed to choose based on loyalty to its authoritarian leadership.